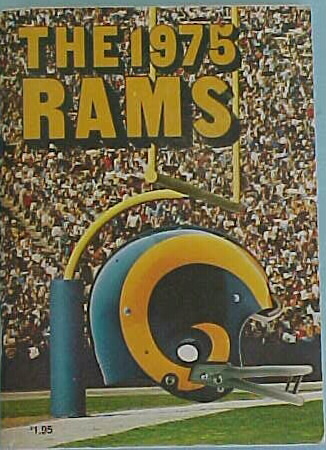 The Los Angeles Rams in 1975 went 12-2. Only allowed 135 points for the entire season. And name 8 players to the pro-bowl. RAMS VS DALLAS The Rams opened the season in Dallas and playedtheir worst game in years. Turning the ball over 6 times. The defense played tough only allowing field goals. Rams lose 18-7. RAMS VS NINERS The Rams special teams shined blocking one punt and Monte Jackson running it in for a TD. Rams 23-14. RAMS VS COLTS It was the Rams home opener as 70,000 saw the Rams go 2-1 with a 24-13 win.